“We believe in a world where affordable, high speed connectivity is always within reach,” Steve Collar, CEO of O3b Networks. This will act as the embryo to develop necessary infrastructure for all future CubeSat missions. 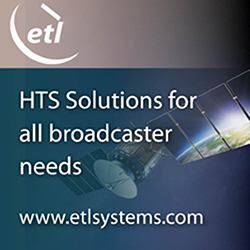 Covering military and luxury, the providers’ smallest X-band terminal service is available while their VSAT capacity has increased, respectively. This expansion comes in response to the company’s 20 percent Year-Over-Year growth. The report forecasts the market sizes and trends for Mobile Satellite Services (MSS) across several sub-markets. “Our resellers in Europe, MENA and Africa can now operate on an alternate Ka service offered by Avanti." The Task Order is valued at over $50 million over the life of the contract. The release of feature enhancements across their satellite modem portfolio is in direct response to spacecraft innovations and market requirements.